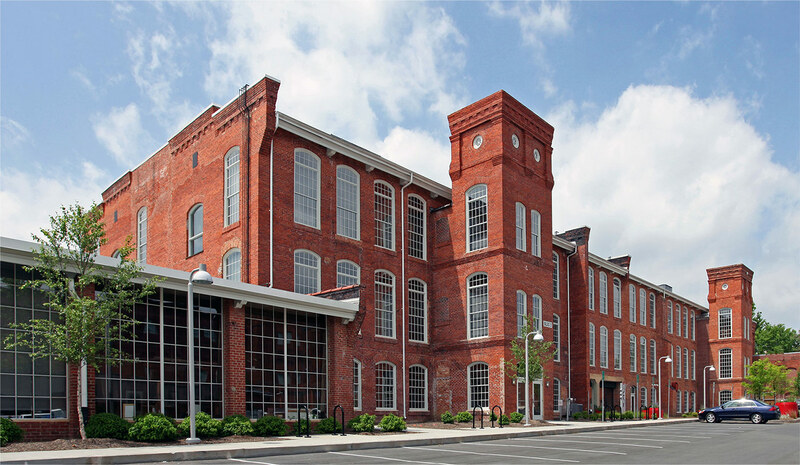 Home to businesses such as Strata Solar and WillowTree, the Golden Belt Campus transforms a piece of Durham's industrial past into a vital hub where people live, create, and work. Golden Belt combines a vibrant local arts community, airy loft living, and modern offices in historic setting, while also saving space for fun. 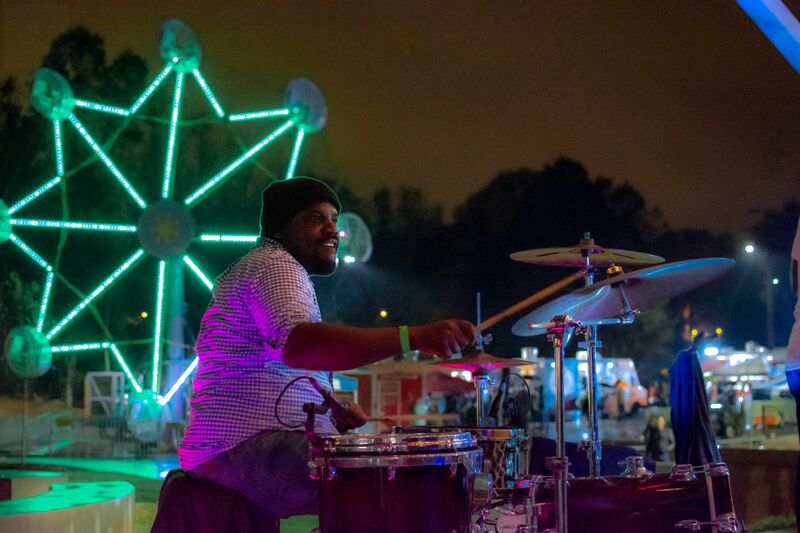 Explore an art gallery show, enjoy a beer and games at Hi-Wire Brewing's first Durham outpost, or check out a show at the outdoor stage. We hope you'll be a part of the latest chapter at Golden Belt. At Golden Belt, we are reviving the idea of the public square. We are a new destination on the east side of downtown where art, entertainment, ideas and culture collide and thrive together. Our studios are full of diverse artists from varying backgrounds, and our tenants are invested in hiring locally. Our stage and artistic resources are also a means for non-profit and local charities to connect with audiences. Golden Belt is home to a collective of fine artists who create, show, and sell their work from their studio spaces. Our Grand Gallery features revolving exhibitions showcasing work from our artists and artists from our community, and we are also home to the Durham Art Guild's newest gallery. The SummerStage is home to a performing arts series from April - October. 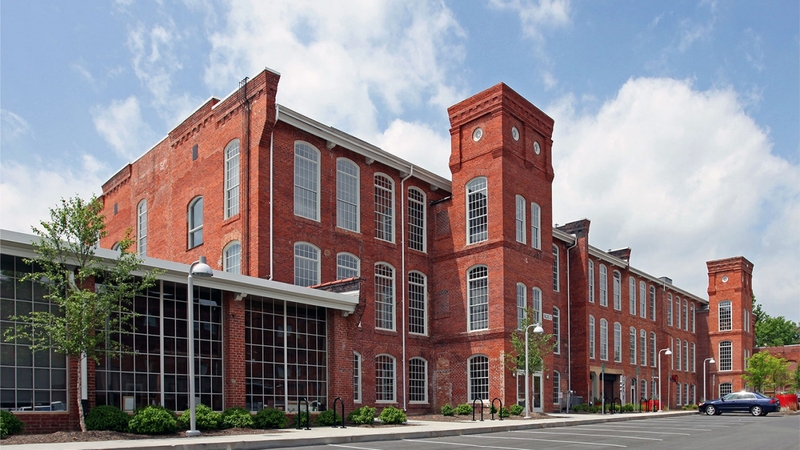 This carefully restored textile mill provides the perfect setting for appreciating the finest art Durham has to offer. Photo courtesy of Ryan Moeller. Take in some art in our galleries, see a show at the SummerStage, and enjoy a pint at HiWire Brewing's Durham Fun Zone. Our goal is to revive a public square, sparking creativity and connection, reaching across cultures and class, to inspire. We are bringing a new economic engine to East Durham, and we are working hard to be inclusive to all. At our core, Golden Belt is a campus for the Arts. Showcasing our talented community of fine artists, we’ve provided fresh new gallery space in close proximity to busy retail and office and look forward to being a space for arts of all kinds to flourish.